The beautiful Broadwater is right on your doorstep - enjoy the stunning views, go fishing, swim safely, feed the pelicans, or try your favourite water sports. With its perfect central location, Sandcastles is only 10 minutes to the centre of Surfers Paradise, 15 minutes to any of the Gold Goast’s major theme parks, and 5 minutes from international shopping outlets and supermarkets. The beautiful Gold Coast Hinterland is also within easy reach. 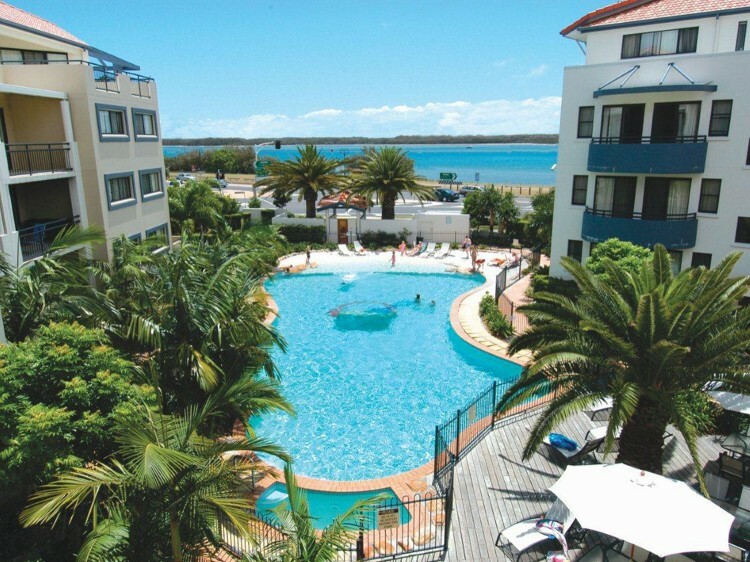 The grounds at Sandcastles feature stunning tropical landscaped gardens and an exciting recreational area. Relax by the sparkling pool with its own heated 8-person spa, set in the beautiful tropical gardens. 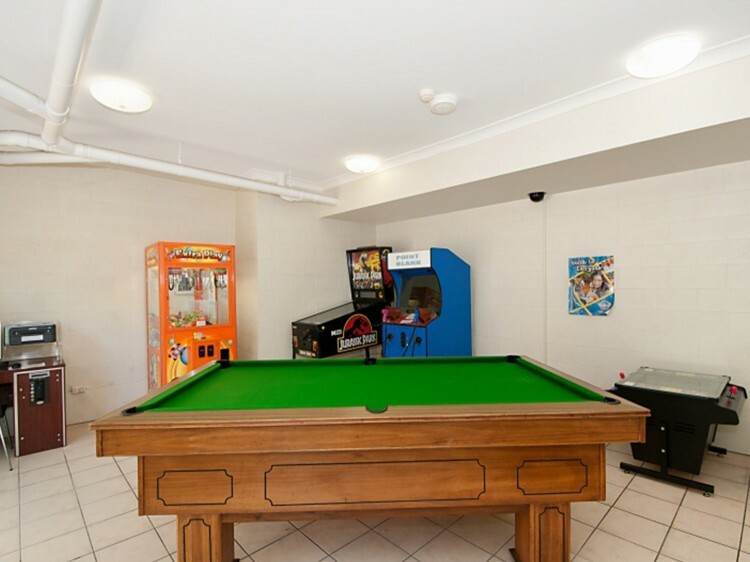 Entertain your friends and family by the pool and keep the kids entertained in the games room. The outdoor entertainment area complete with electric barbecues and sinks makes it easy to feed a crowd. 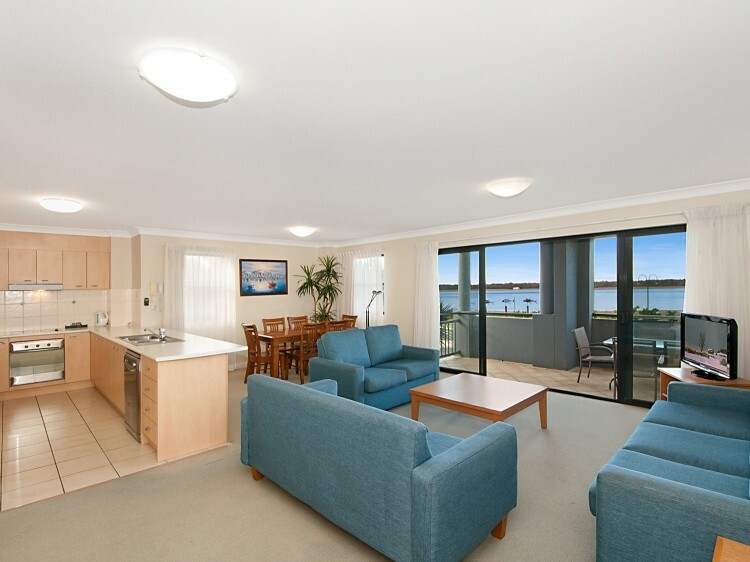 Luxury one, two and three bedroom air conditioned apartments are fully self-contained to provide all of your holiday accomodation needs. Large balconies in every apartment have been designed to give spectacular views while adding real living and entertaining space to your apartment. The contemporary design includes spacious kitchens and open-plan living areas for the whole family to enjoy. Photo ID and a credit card pre-authorisation of $400 (or $400 cash bond) will be required upon check-in. For after hours check-in please contact the resort.